Oftentimes the most stressful part of going to a convention can be packing for it. I've traveled across the world to attend Star Wars Celebration and have even packed for an 18-day trip to Europe with just a carry-on suitcase. 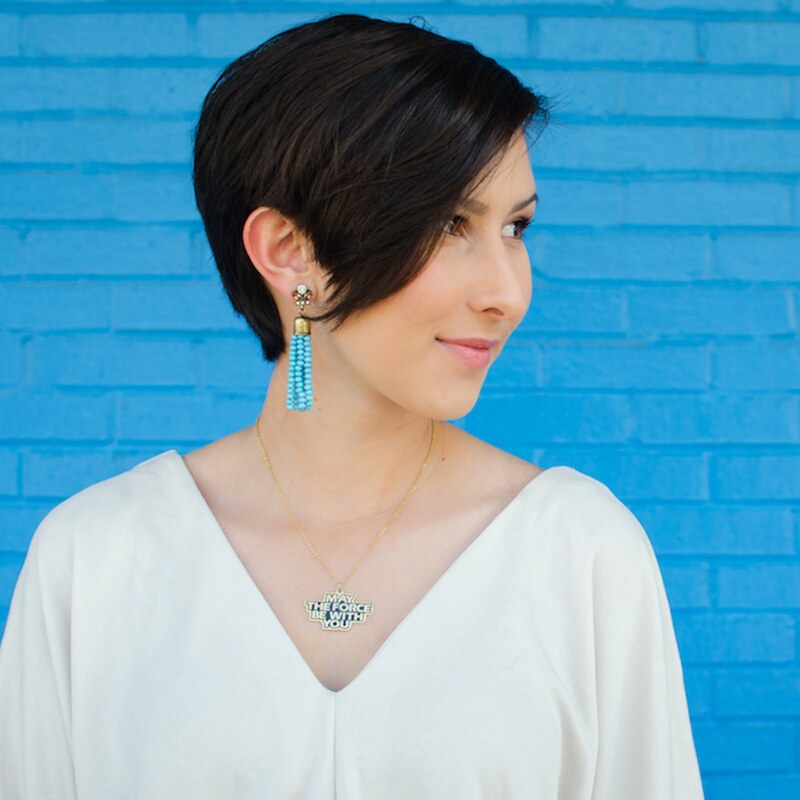 Rather than hoarding all my packing secrets to myself, I want to share them with you. 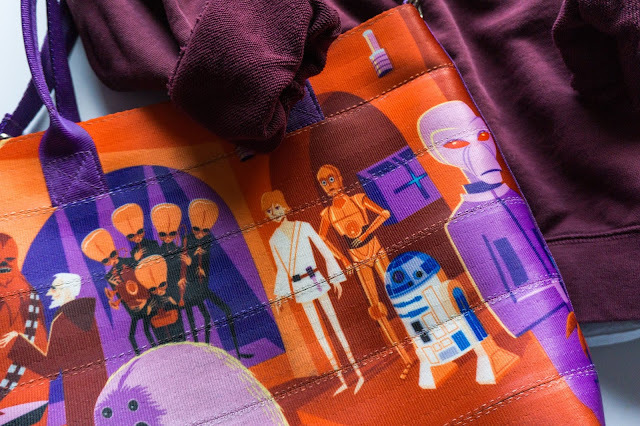 In this post you'll find all of my Star Wars Celebration packing essentials including favorite clothing items, tech gear, and luggage. Click the title of each item to see my most recommended product of that category! If you're like me and plan on flying to Chicago for Celebration, you'll want some good luggage. I've always brought just a carry-on bag to Celebration for the sake of easy traveling and if I ever end up buying more merchandise that can't fit in my bag, I ship it back home instead of bringing it on the plane. Hard exterior luggage is really great for keeping your items safe in flight. 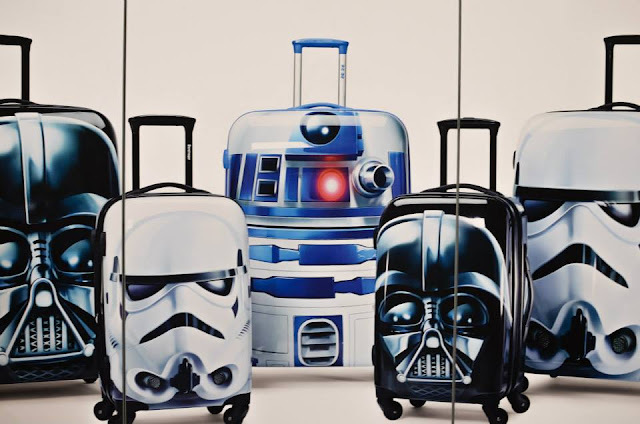 American Tourister makes really cool Star Wars suitcases for both carry-on and checked sizes. 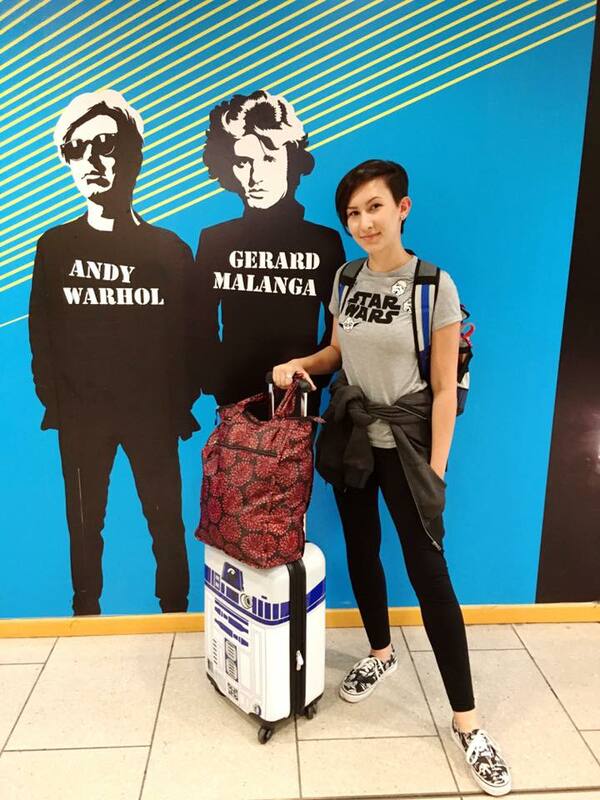 My Star Wars suitcases have always been great conversation pieces in airports and oftentimes lead me to Star Wars fans who are also traveling to Celebration! When planning my outfits for Star Wars Celebration, I typically start with one statement piece and then accessorize around it. Since I get cold easily in convention centers, I try to pick a really cool Star Wars jacket to wear rather than statement shirt that will essentially just get covered by a jacket. Last year I wore the Her Universe 40th anniversary jacket most of the time and layered it over some comfy clothes. If you bring 1-2 statement jackets or sweaters, you can make versatile outfits that don't take up a ton of space in your luggage. Plus, if you get hot inside the convention, you can take off your jacket and throw it in your bag. It will probably still be cold in Chicago in April, so you may want to wear a puffy/heavyweight jacket over your outfit when walking to/from the convention and leave it at coat check inside the con center since Celebration is offering this amenity. Gloves and beanies can fit inside your backpack if you need to wear those when walking outside. Pro tip: Wear your biggest pieces of clothing on the plane if you're traveling by air! I can't harp on this enough. You NEED to wear comfortable shoes at Celebration. Most convention centers have solid concrete floors and I swear they'll never be kind to your body. Get a comfortable pair of sneakers and slip in some gel insoles for extra support. Your back will thank you after day one of the con! Sometimes I like to wear dresses at conventions because they are easy to pack, but I oftentimes find myself uncomfortable when I need to sit on the floor in long lines, so I prefer to wear jeans instead. Since you'll most likely be walking, standing, and sitting on hard concrete floors all day, you'll want to wear some jeans that are stretchy and keep you comfortable. As for guys, invest in pants or jeans that you feel comfortable wearing all day long. You don't want to be irritated by a tight waistband or itchy fabric for five days in a row. Same concept here! Be as comfortable as possible. Thankfully, there are plenty of comfortable Star Wars shirts out there. I really like the tri-blend shirts from TeePublic, but you can find plenty of soft T-shirts on Amazon as well. Since Chicago will be chilly, it might be a good idea to pack a lightweight longsleeve tee that you can layer under outfits. 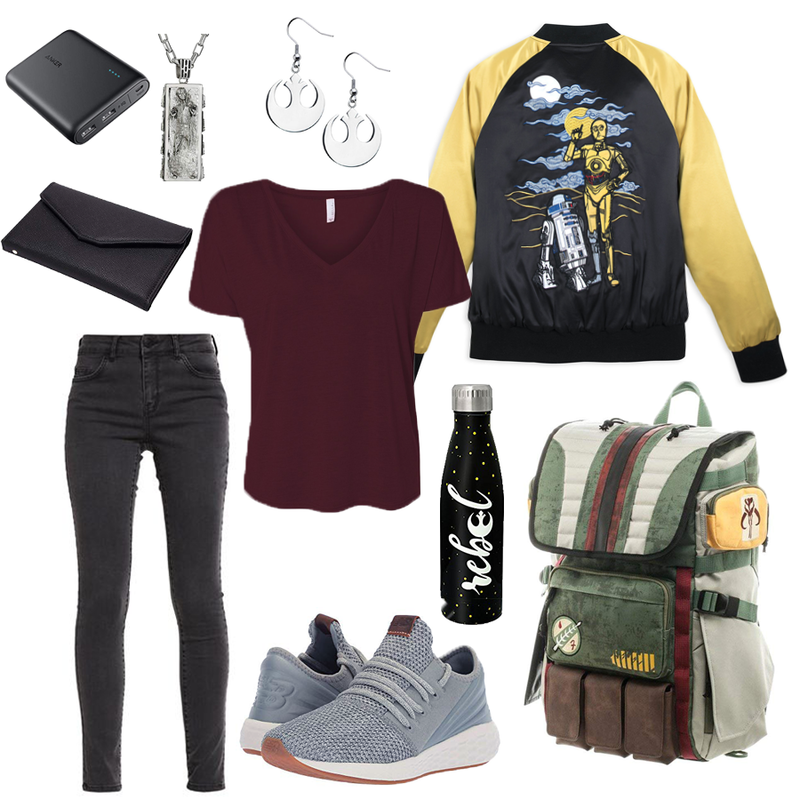 Since I like to pack solid colored clothing items that are interchangeable and easy to coordinate, I represent Star Wars in my outfits mostly with accessories. Jewelry and hats take up very little space in your luggage, so you can bring multiples to wear throughout the convention. Don't skimp on this item! You'll be taking lots of photos with your smartphone at the convention and texting friends to link up, so don't let your battery die out. Sometimes the wi-fi can get spotty inside the convention center, which will drain your battery quicker than usual. Power banks are great items to have on hand that you can also share with friends who need a quick recharge. Pro tip: Bring USB to lightning and USB to micro-USB cables so you can lend a hand to friends who may not have the same phone as you! This is probably the most important item you should bring. I can't tell you how many times I've convinced myself that I can survive a convention with just a small purse or messenger bag and felt like my shoulder was going to fall off my body by the end of the day. Backpacks are great because they can hold all of your necessities and not pull on just one side of your body. I find that laptop bags are my favorite convention bags because they have multiple pockets to hold all of my personal items and things that I buy throughout the show. If you plan on buying posters or artwork at the show, you need a sturdy poster tube. I like bringing one and sticking it in my backpack just in case I see some cool artwork that I want to bring home. The one that I linked is also extendable and has a strap that you can sling on your shoulder if needed. If you can't fit this in your luggage, visit a UPS or FedEx store near the convention center to grab a cardboard poster tube. Bottles of water are tough to find at Celebration and tend to be pretty expensive if you do see them at the food court, so it's a good idea to bring a reusable bottle from home. 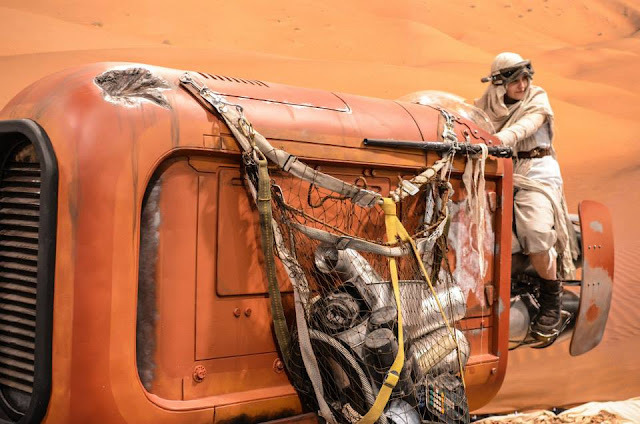 There will be plenty of water fountains around to refill your bottle, but make sure to bring a leak-proof bottle so it doesn't spill on any new Star Wars treasures inside your backpack. At the most recent Star Wars Celebration in Orlando, multiple people had their credit card information stolen from RFID card readers. Rather than risk getting my information stolen and having to deal with credit card fraud, I'll be using an RFID blocking wallet this year. Better safe than sorry! If you plan on meeting celebrities at Celebration and getting their autograph, you'll want to bring some protective autograph sleeves with you. Most celebrities tend to sign 8x10 photos at their tables, so these sleeves will keep your new autograph safe. Pro tip: Be sure to make sure your autograph is completely dry before sliding it into the protective sleeve or the fresh handwriting will smear! Have you ever heard of con crud? It's the inevitable sickness that you will catch after any convention. You can avoid con crud by sanitizing your hands and personal items (cell phone, camera, etc.) with anti-bacterial wipes and hand sanitizer. Pro tip: Start chugging vitamin c supplements and vitamins a week before Celebration so your immune system will be strong! I'm the type of person that you don't want to be around when I get hungry. 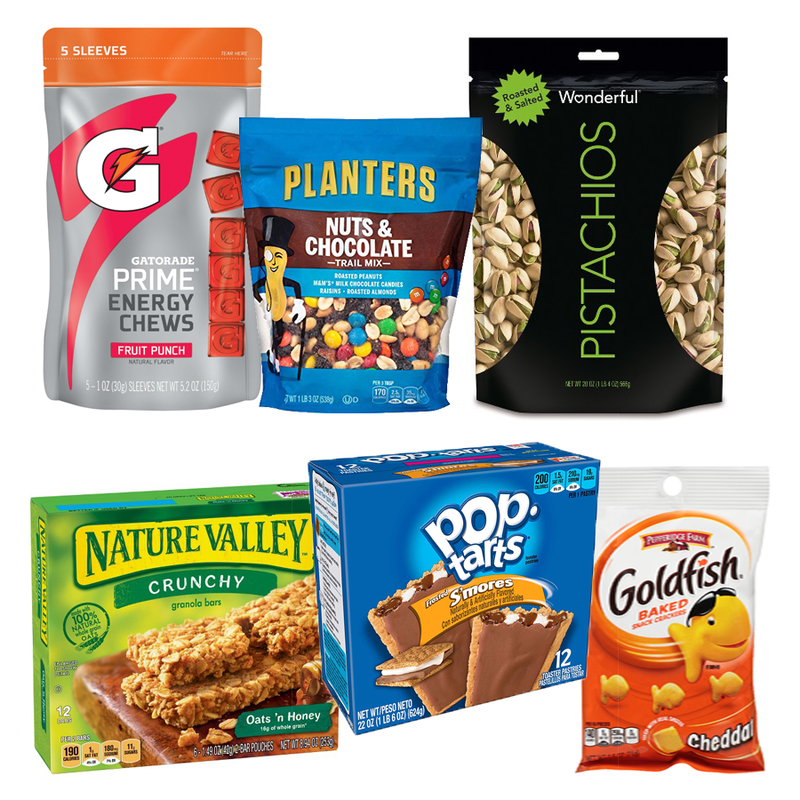 Hungry equals cranky in my experience and I never want to be raging with crankiness at a convention, so I pack plenty of snacks in my backpack. It's very rare that I actually take time to eat lunch during conventions, so snacking throughout the day keeps me satisfied. Sometimes I get headaches during the convention just from exhaustion or jet-lag, so I carry a small bottle of Advil with me to kill any headaches that may pop up. I buy snacks after I've arrived in my destination city rather than bring them on the plane with me. That's about it! I really try to keep my packing list as small as possible so I can use extra space in my backpack and suitcase to hold items that I want to buy at the convention. I choose clothing items that are lightweight and fold flat to avoid them taking up too much space in my bag. The photo below was taken on my travels during Celebration Europe in 2016. My mom and I went to London for twelve days before departing to Paris to visit Disneyland. Our entire trip lasted 18 days and we didn't check any luggage. You can see that I was equipped with my trusty backpack and carry-on suitcase. The bag on top of my carry-on was full of dirty laundry, but all of those clothing items fit back in my suitcase when we headed back to the states. Hopefully this packing guide will help you pack your own essentials for Star Wars Celebration Chicago in April. If you have any other items that you'd suggest bringing for the convention, please list them in the comment section below!